Lada is a lecturer in Journalism at Sheffield Hallam University. She is also a former journalist – she has worked as a reporter, radio presenter and foreign correspondent for the Bulgarian section of the German broadcaster Deutsche Welle in Washington DC. After five years working in the United States Lada joined the Department of Journalism Studies as a part-time postgraduate student in 2007. She was awarded a PhD in 2013 and appointed University Teaching Associate in 2014. Lada is interested in post-communist media landscape transformation and changing journalistic culture in Eastern Europe. So far her work has examined journalists’ perceptions and understanding of media change in Bulgaria. 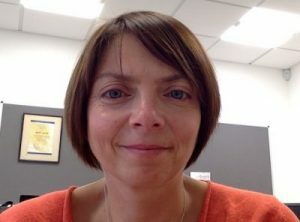 Her current research interests are focused around two themes: 1) the increasing migration of journalists from traditional media outlets to online blogs, community forums and websites, due to deteriorating media freedom in post-EU-accession countries such as Bulgaria and Romania; 2) the scope of civic participation of journalists during times of recent social upheaval and changes in traditional journalistic roles brought on by the growing popularity of social media and the spread of digital technology. Through her work at CFOM, Lada is also interested in the effect of political interference, violence and impunity on journalistic practice. Visit Lada’s University profile page.